Capt. James C. Allen, Jr., son of Mr. and Mrs. J. C. Allen, graduated from Frederick High School and attended business college. He is the husband of the former Billie E. Allbright. 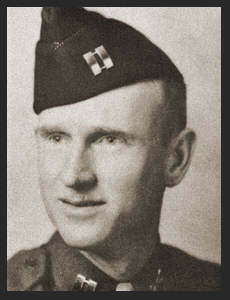 Entered the Army in Feb. 1941, trained in Camp Barkley, Camp Howze, Texas, Camp Claiborne, La. ; served in England, France, Belgium, Holland, Luxembourg, Germany. Awarded Am. Defense Ribbon, ETO Ribbon with three Battle Stars, Bronze Star with Oak Leaf Cluster.